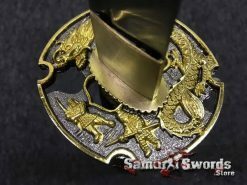 After you finished making your custom sword, simply click on Buy it Now, fill your address for shipping and pay. 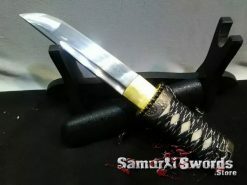 we will start working on your custom blade according to your specifications and ship to you address once it is ready. 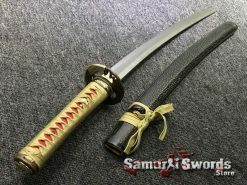 There is something about Samurai Swords that is universally appealing. 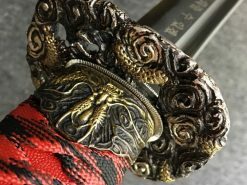 Samurai swords are rich in history. 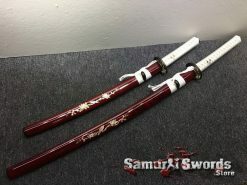 They are beauty to behold. 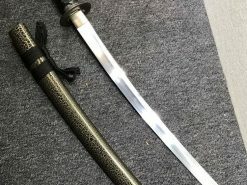 There is nothing like holding a Japanese sword for the very first time. 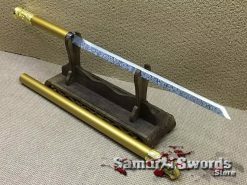 We invite you to browse through our website and find unique Handmade Japanese swords reminding of an era long gone. 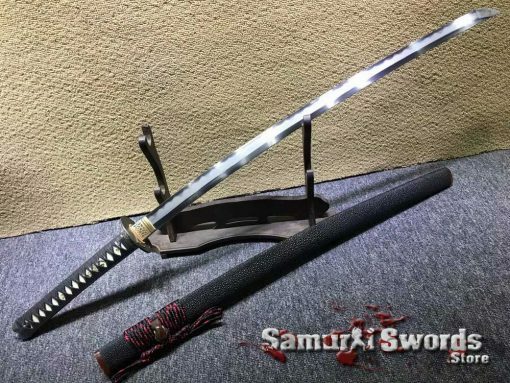 Our Samurai swords for sale are made of quality materials of your choice, we offer complete customization of all swords parts. 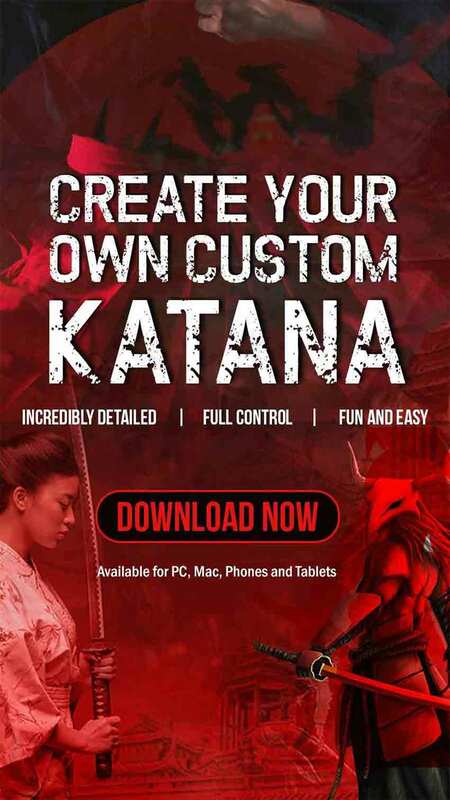 You can use our 3D app to create your custom Katana sword, watch the video to see how it works. 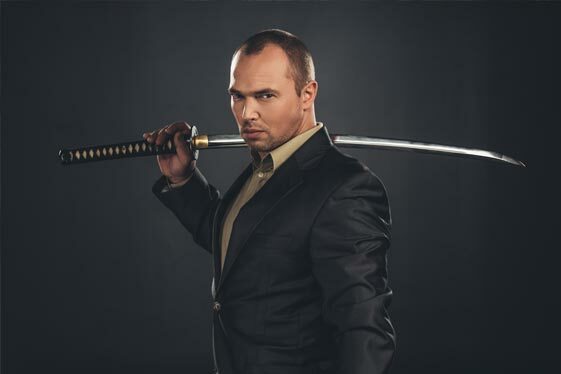 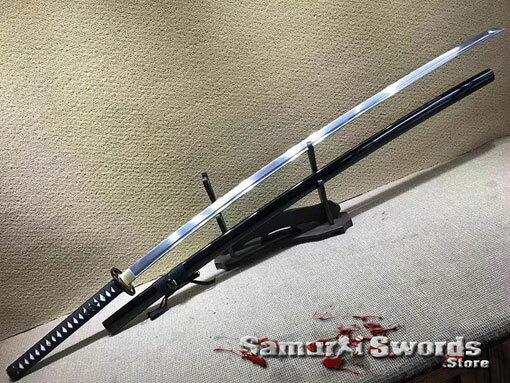 If you always wanted to own a Samurai Katana sword that is forged by master swordsmaker according to your preference, then you can build your custom sword in our website using 3D tools or a simple form. 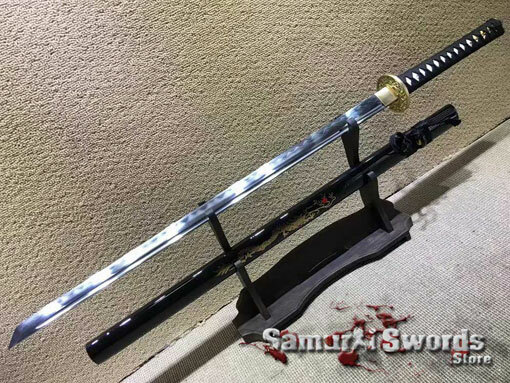 Each of our samurai swords for sale available on the site can be further customized for you. 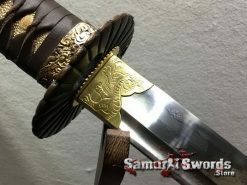 Samurai swords are what keeps those who love anything Japanese close to heart. 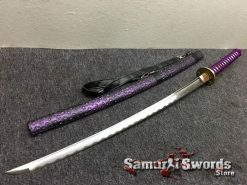 The app was easy to use, and I could actually see what I am buying! 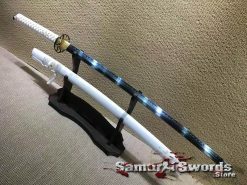 after 4 weeks the package has arrived, and I couldn’t be happier, the finished product looked a lot better in real life. 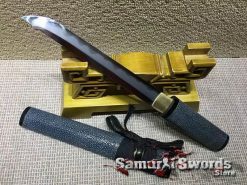 Highly Recommended, will shop again. 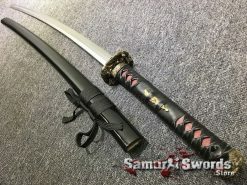 I practice Iaido and bought several swords from different websites, Samurai Swords Store has provided the best experience by far and the quality of the sword is great, I am using it now for my daily practice. 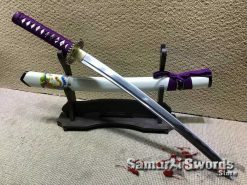 A sword reminds people that life is not forever and as such each moment should be treasured. 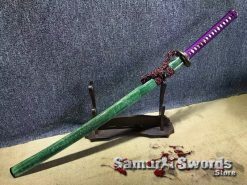 A sword makes people aware that mortality exists and to live each day to it’s fullest. 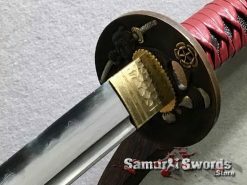 Some people think that a sword is created by just one swordsmith, but the truth is,a team of professionals build each blade with accuracy. 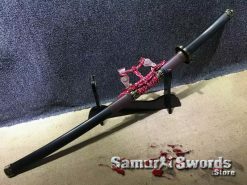 Each of our team specializes in a certain area which means they give their all when it is time for the sword to pass through their hands. 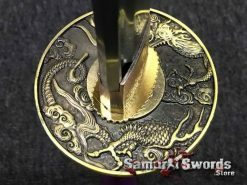 Each sword needs the master swordsmith and his apprentices which includes: polisher, sharpener, and makers for these parts: Habaki, Tsuba, Seppas, Fuchi, Kashira, Menuki, Tsuka and Saya. 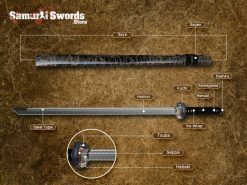 Below you can find information about all available swords for sale on our website, including custom swords and made to order swords from our catalog collection. 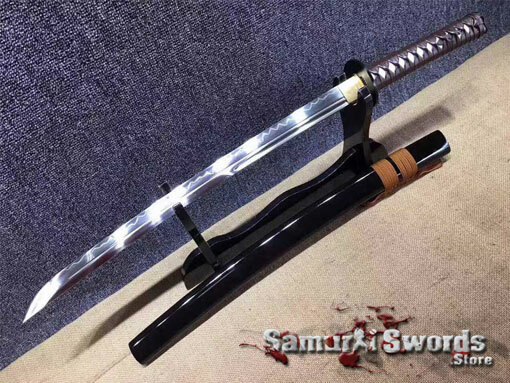 The Katana was the primary weapon carried by the Samurai of Feudal Japan. 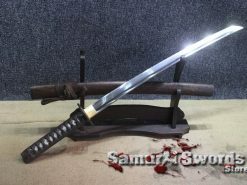 The Katana sword is a single edge curved blade with a handle that can accommodate 2 hands. 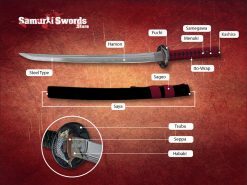 The Samurai Katana is worn with the blade pointing up, which allow for a smooth drawing of the sword and attacking in a single motion. 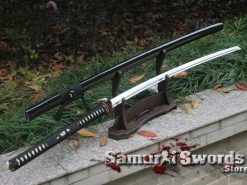 The Wakizashi was the back up sword carried by the Samurai along with the Katana. 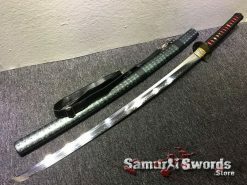 The Wakizashi is a similar to the Katana sword in shape, however it is a bit shorter and can be used with 1 or 2 hands. 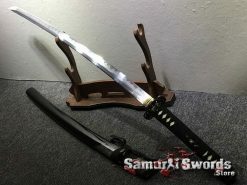 The Wakizashi was used in close quarters, or when the Samurai lost his Katana in battle, some Samurai mastered the art of dual wielding the Katana and Wakizashi togeter. 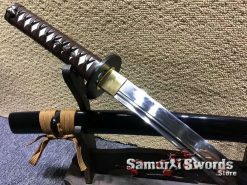 During feudal Japan only the Samurai were allowed to carry the Katana and Wakizashi together, this was referred to as Daisho, and was an official sign that the wearer of those swords is a Samurai. 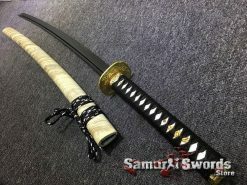 The Katana was considered as the soul of the Samurai, and was treated with highest respect. 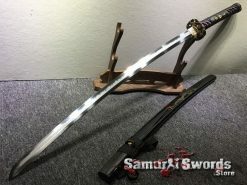 The Daisho was term literally means “big little”.a Katana is the big or long sword and the shorter sword is the Wakizashi. 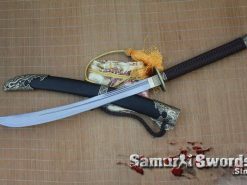 The Japanese term for the Wakizashi blade literally means side inserted sword. 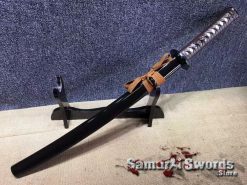 Wakizashi blade tends to measure between 30 to 60 centimeters. 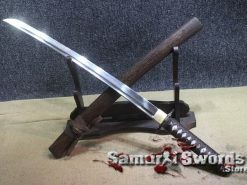 A Wakizashi was used primarily for close quarters and indoor fighting or to behead opponents on the battlefield. 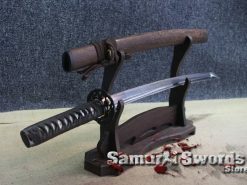 At times, the Wakizashi was used to commit seppuku (ritual suicide). 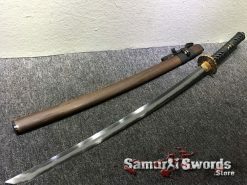 The Wakizashi was allowed to be carried by the Chonin class, which included merchants and used for protection when travelling due to the risk of encountering bandits. 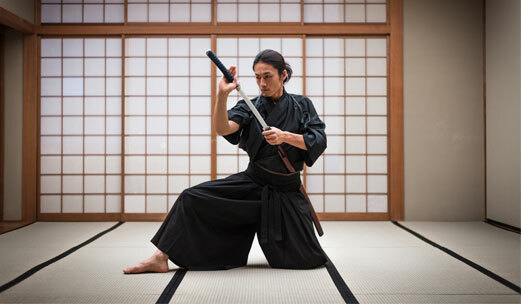 Wakizashi are worn on the left side secured to the waist using a sash or Uwa-obi or himo. 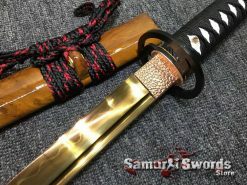 One of the traditionally made Japanese short swords includes the Tanto Blade. 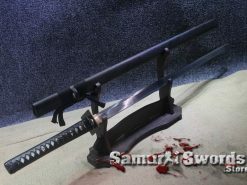 Tanto was worn as the Shoto in place of Wakizashi in daisho on the battlefield. 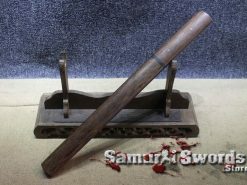 Tanto was designed as a stabbing weapon however, still can be used for slashing as well. 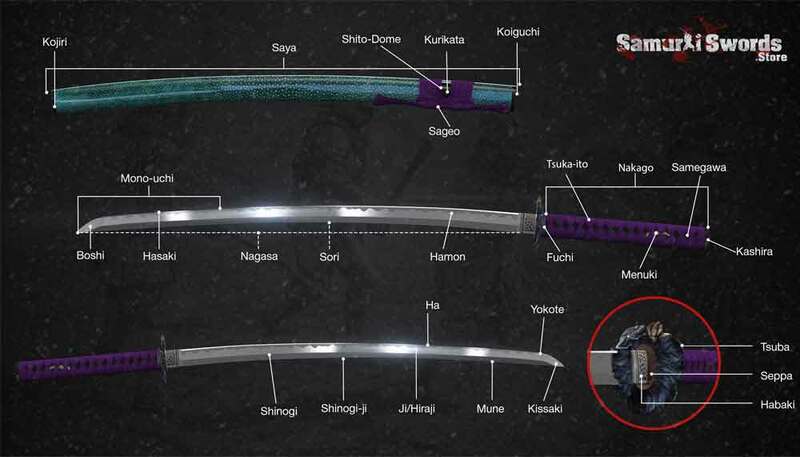 Some versions has thick cross sections for armour piercing duty and referred to as Yoroi Toshi. 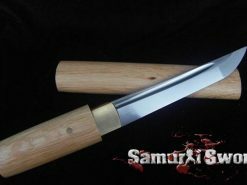 The Tanto blade can trace its origin during the Heian period. 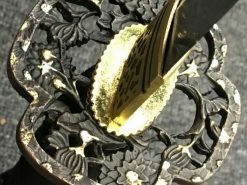 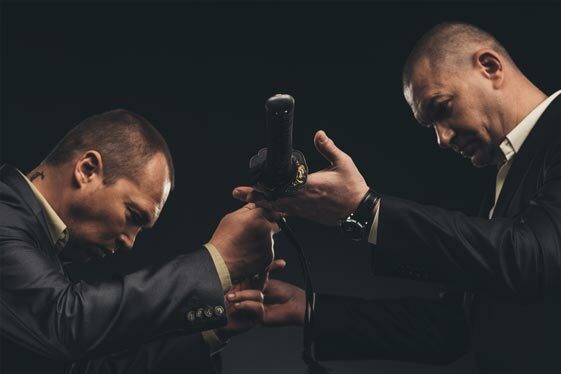 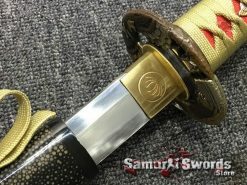 Tanto was mainly used as a weapon However because it’s blade was so aesthetically pleasing it has evolved to include ornamental designs., Hira and Uchi-Sori Tanto became the more popular style. 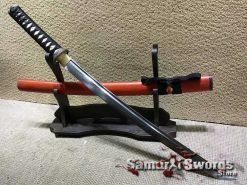 The Tanto was mainly carried by Samurai, commoners did not generally wear it, in fact, before the Katana and Wakizashi Daisho, Samurai carried a Tachi sword and Tanto. 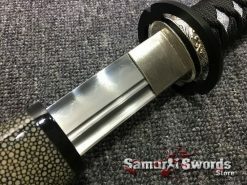 The Tanto is used for Tantojutsu which is a traditional martial arts. 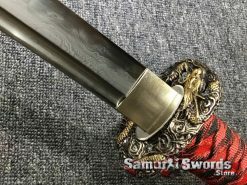 In form it resembles a dagger. 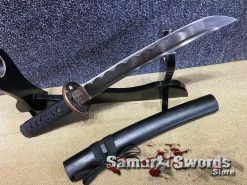 This must be one of the reasons why the Tanto has find its way into modern tactical knives in the West especially in the 1980s. Visit our shop to find your new Samurai sword. 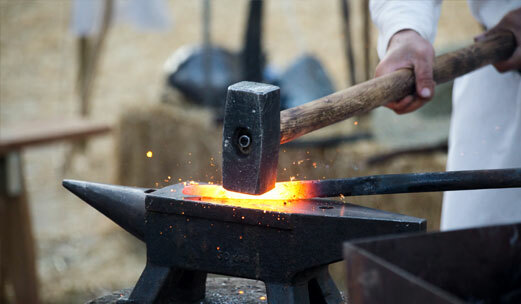 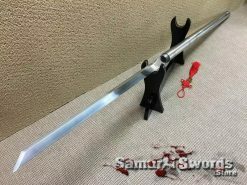 all of our swords are made of quality materials and fully capable of Tameshigiri and test cutting. 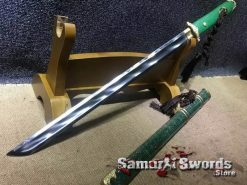 The Nagamaki is a traditional Japanese sword used during the Kamakura, Nanbokucho and early Muromachi period. 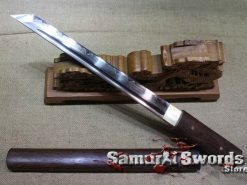 Nagamaki sword blade length on average is around 60 to 120 centimeters with a handle either 45 to 90 centimeters long. 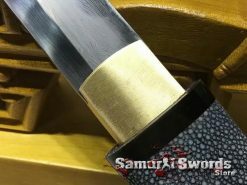 Nagamaki has a singled edged blade that normally feature a bohi for reduce weight. 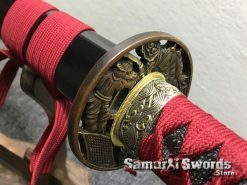 The Nagamaki handle resemble that of a Samurai Katana handle but it’s longer which allow more distance and extended reach from the enemy when fighting with this samurai sword. 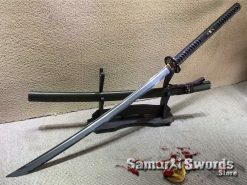 Nodachi sword is a traditionally made Japanese battlefield sword . 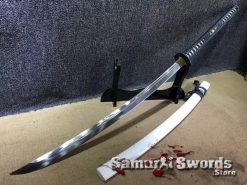 The Nodachi predates the Katana sword and was also used by the Samurai class of feudal Japan. 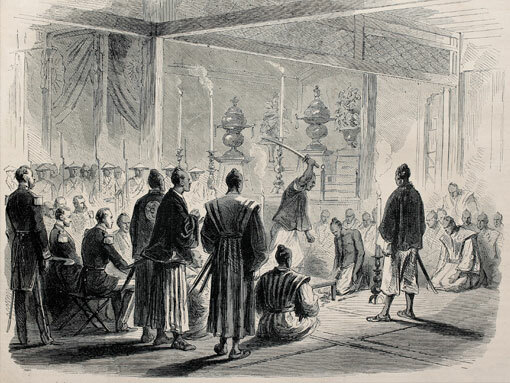 It reached its peak during the Edo period. 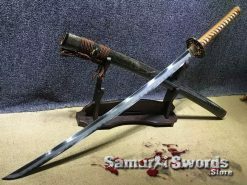 There is no exact size for this great sword however, to qualify as a Nodachi, the blade length should be minimum3 shaku or 90.91 centimeters. 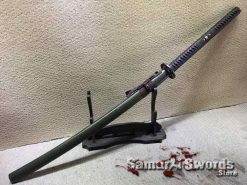 Nodachi was used by infantry and as ceremonial offering for Japanese patron gods. 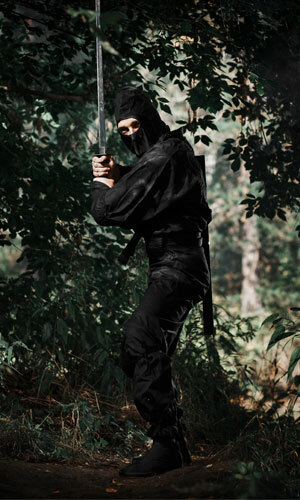 Ninja hide their identities, they are the silent assassin, hiding in the shadows until the right time to attack. 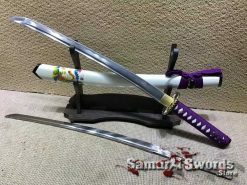 a Ninja want to keep everything that they do in a cloak of mystery. 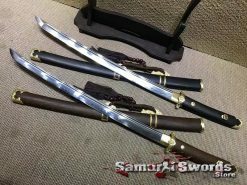 Ninja used different swords than Samurai. 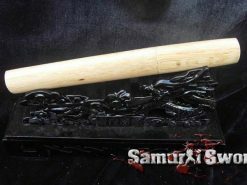 The Ninjato is one of the famous blades used by the Shinobi of feudal Japan. 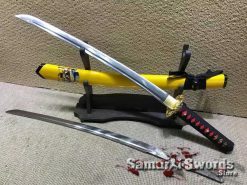 The Ninjato is referred to as a short sword with a straight blade, it is shorter to allow ease of use in narrow spaces like corridors and inside rooms. 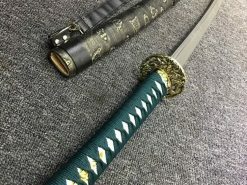 The Ninja were using many different kind of weapons and accessories, The Ninjato is only one of them, it main purpose was for stabbing and slaying enemies. 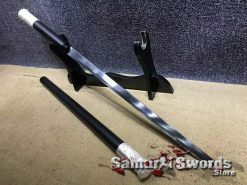 Usually it had a square guard. 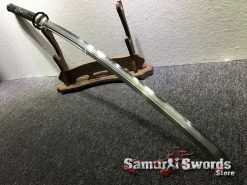 Its unique shape can be credited to the efforts made by Ninjas in forging their own blades from slabs of steel or iron. 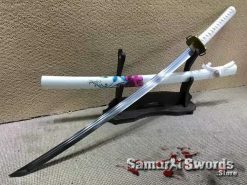 The Ninjato sword was said to be the legendary sword used by the Ninja. 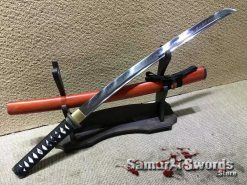 Our Ninjato for sale are made in the same length as our custom Katana swords, although you can ask for a Wakizashi Ninjato when ordering a Wakizashi. 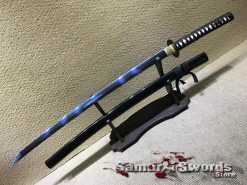 Although there is no real evidence of existence, the Ninjato is believed to be the main sword used by the Ninja. 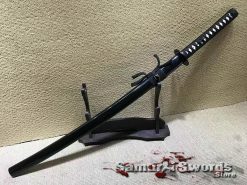 it came in different sizes and on average was shorter than the Katana sword and was more likely Wakizashi size, reminding the Shikomizue sword. 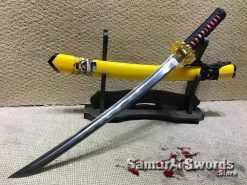 If you are looking for a different kind of sword to spice up your sword collection, the Ninjato is great choice, you can either select from our collection or have a custom one made for you. 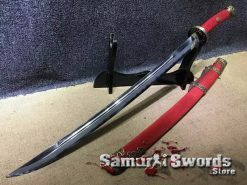 We know you have a choice and we strive to provide you with the best possible customer service and quality product at affordable prices, All swords are handmade and can be customized to your request. 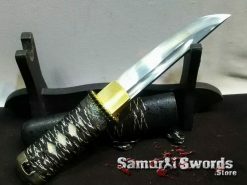 if you are looking for more reasons why to buy at Samurai Swords Store, simply scroll down the page and see all the awesome features available for customization. 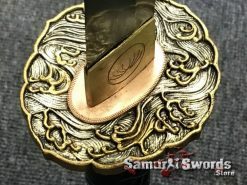 The large selection and personal care will make sure your shopping experience at our site will be exceptional, and the outcome of your sword will be personal, unique and exceed your expectation. 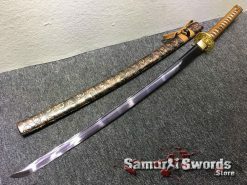 all of our swords are handmade, we offer unique selection of custom swords. 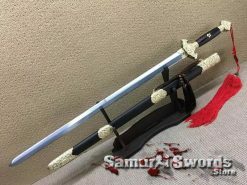 Making sure you are happy with the sword you received is our top priority. 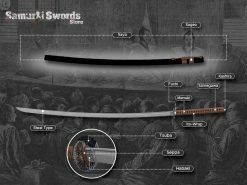 The Best Place To Buy Swords!!! 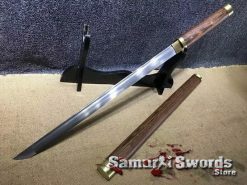 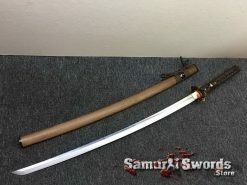 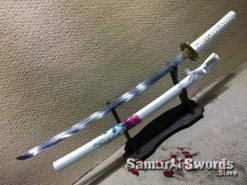 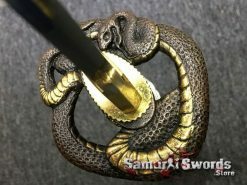 I purchased several custom swords and recommend to anyone who is considering it. 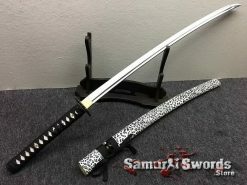 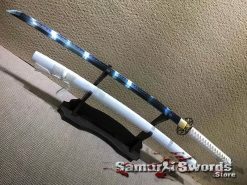 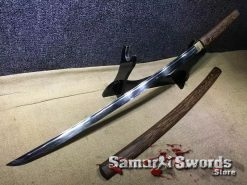 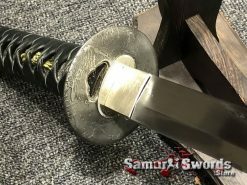 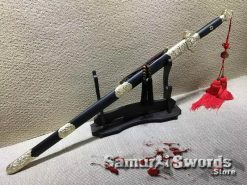 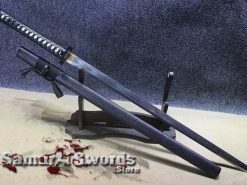 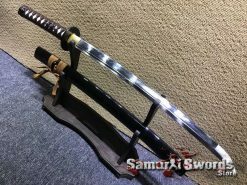 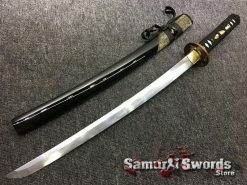 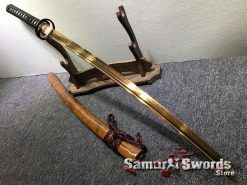 samurai swords store offers a lot of options that other vendors simply don’t have! 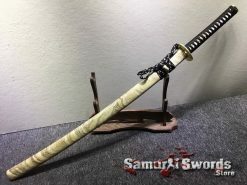 the customer service is excellent and they responded to my inquiries in less than 24 hours, I feel like I have a close friend who makes swords…. 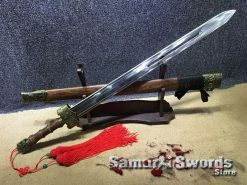 When I placed my order I was a bit sceptical, however once I received my sword all worries seized. 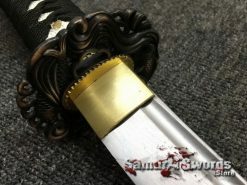 I must say that the craftsmanship of the blade is remarkable, all was made to my request to the very last detail. 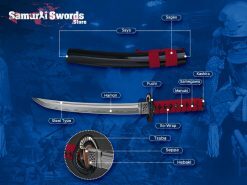 If you are in the market for a Samurai sword, you should definitely order one through their app. 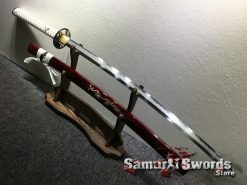 Still not a VIP member? 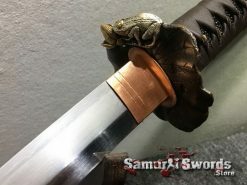 Join now and save 10% off your next order. 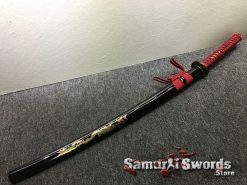 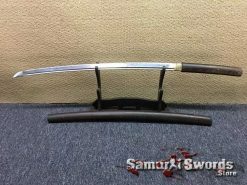 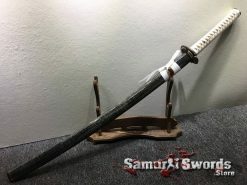 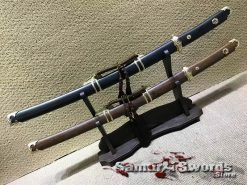 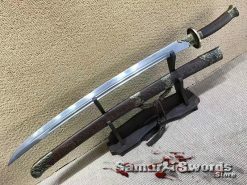 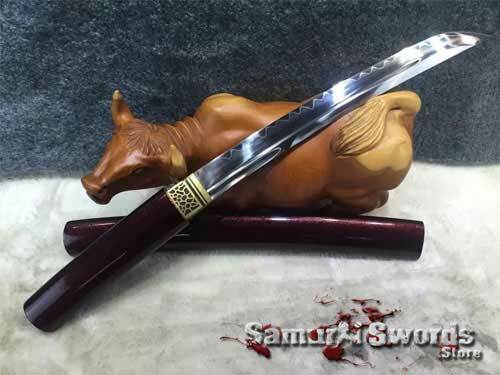 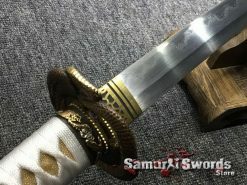 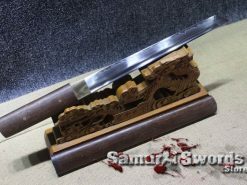 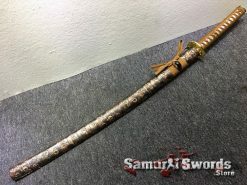 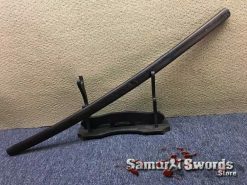 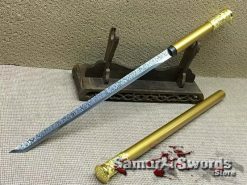 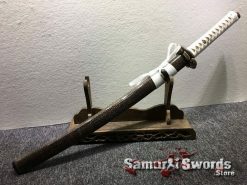 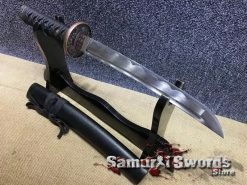 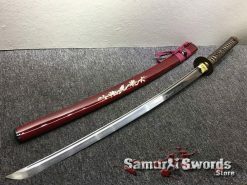 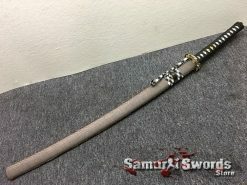 When you look for real swords for sale, there are few things to keep in mind in order to get the quality blade you want to buy, especially when buying Samurai swords, there are several features which are vital. 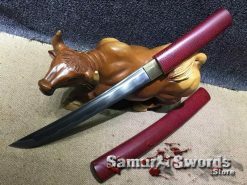 Choosing a full tang blade is certainly a must if you are looking for a functional Samurai sword, the term full tang means that the blade extends all the way through the handle and is made of one solid piece of steel, the tang is held by Mekugi pegs. 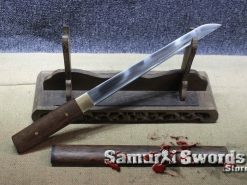 All swords for sale available on the site are full tang. 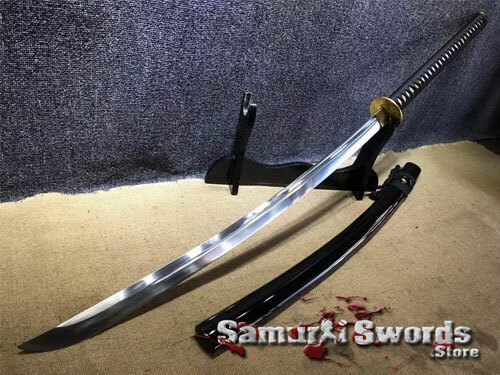 We offer large selection of quality materials for your custom Samurai swords, you can choose each part of the sword according to your budget and preference. 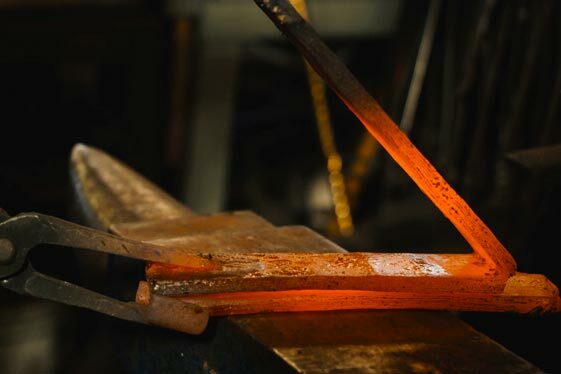 each blade is treated personally with attention to details and assembly. 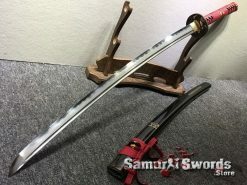 Read more below to find about all options available. 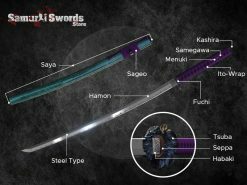 All of the swords are made of quality materials, you can select your steel and overall quality and designs of parts. 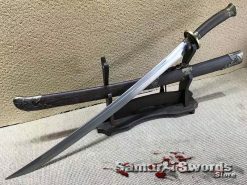 technically all of the swords for sale on the site are battle ready, while there are some with better capabilities. 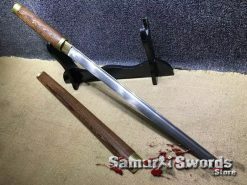 This depends on the steel used, and the treatment the sword has received. 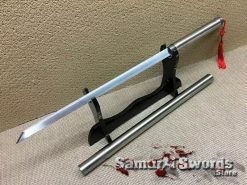 for maximum performance battle ready Katana, it is better to choose a clay tempered blade.